Woodson & Rummerfield’s House of Design is an award-winning interior design firm based in Los Angeles specializing in creating luxurious interiors combining Hollywood opulence and sleek modernity for a discerning clientèle. 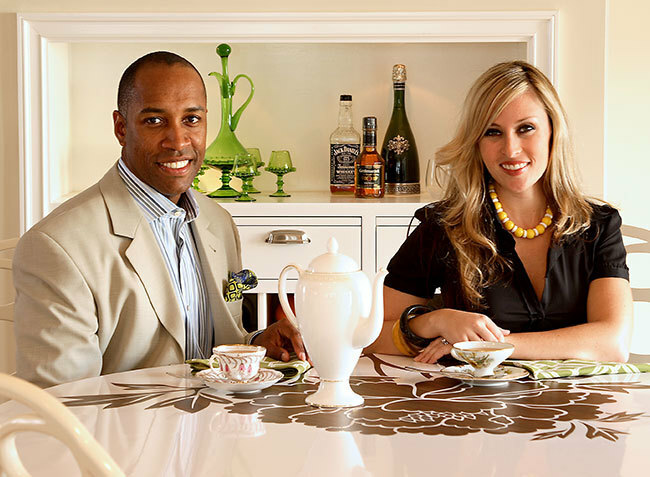 Ron Woodson & Jaime Rummerfield are one of the most sought after tickets in the design scene. Ron and Jaime, co-owners of the tony Los Angeles interior design firm Woodson & Rummerfield’s House of Design, are true California stylemakers. They decorate breathtaking homes for some of the most dynamic and eclectic personalities around the globe, and often make appearances in magazines and television. Woodson & Rummerfield's takes their stylized signature aesthetic to a hallmark level by combining a sophisticated, glamorous mix of vintage and new furniture, wallpaper and accessories to each project. They are well known for collecting noteworthy antiques and unique vintage pieces and their curated style is highly sought after. Woodson & Rummerfield's have been published in over 50 publications such as Traditional Home, House Beautiful, & Architectural Digest on an international level. See their stunning projects along with décor shopping tips and tricks in their stunning book ‘High Style’, published by Chronicle Books.